It all started innocently enough, with the best of intentions. 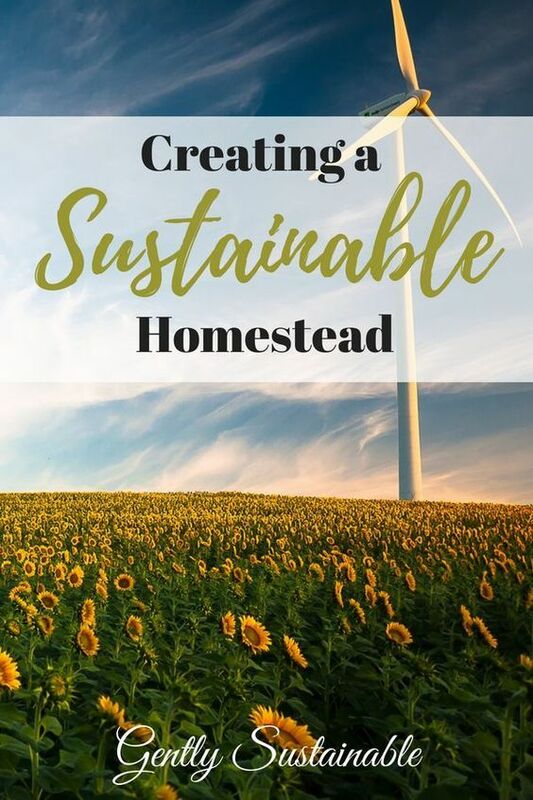 I wanted to be sustainable. I wanted to grow my own food and have some chickens for eggs and meat. And maybe get some bees, too! Yet, I found myself behaving like a consumer…again. 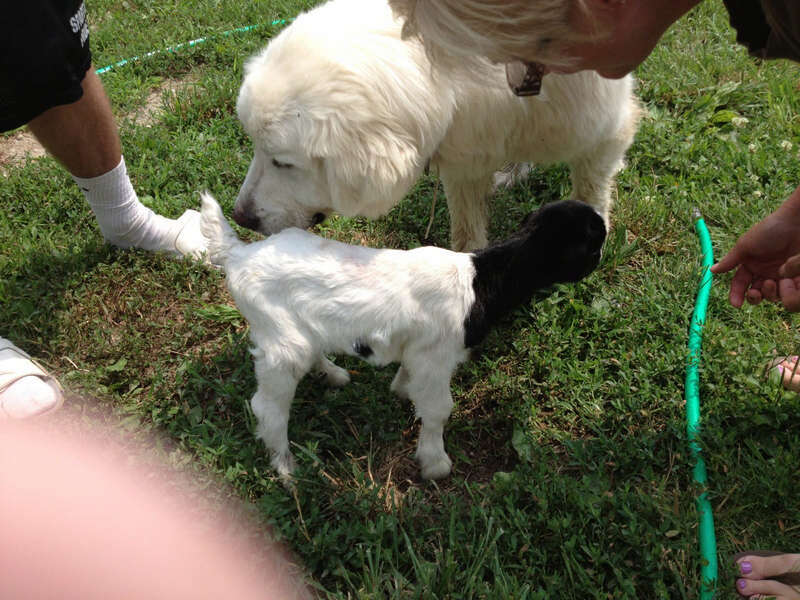 It all began with a few baby goats being delivered to our new farm. I remember the day so well, it was like Christmas morning. The entire family was on hand for the grand arrival of three little goats. We had done our research and had everything ready. A brand new goat house, complete with 2 large stalls and a milking room. I won’t say exactly how much that movable building cost us, but let’s just say we didn’t get a great deal. We paid a lot. Way too much. We bought it premade from a dealer. But still, so worth it to us at the time. Lacking the skills at the time to build our own, we got ahead of ourselves just a bit. Sweet feed had been purchased, along with quality hay and salt blocks. The stalls were cushy with fresh straw and we were ready for our new babies. With any luck, these goats would provide plenty of fresh goats milk for general consumption, but also cheese, buttermilk and butter. So awesome, a dream come true. The angels stopped singing soon after the goats arrived. 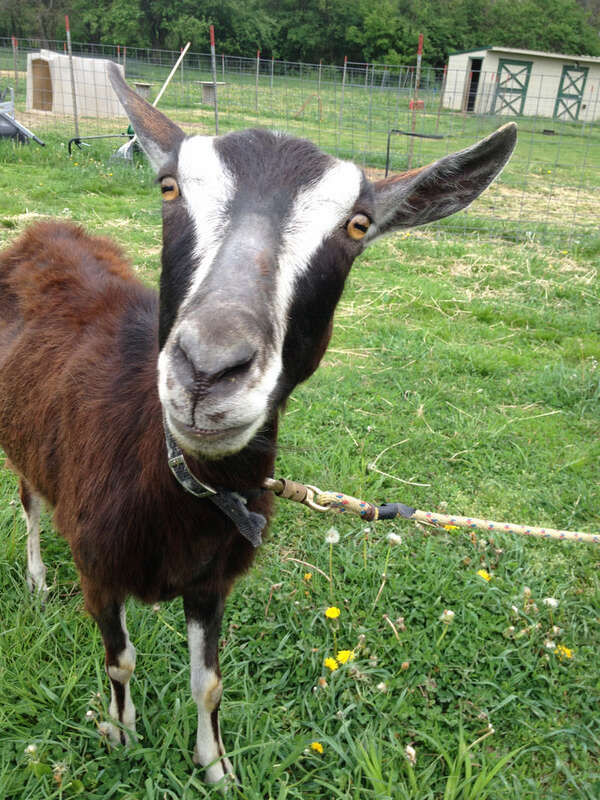 Over the next two years, these goats cost us more in vet bills than all of our other livestock…combined. They killed a number of wonderful old trees by eating the bark into the epidermis of the tree. We also found ourselves in a “feed store” trap, constantly purchasing grain for these endless garbage disposals. All we did, it seemed, was spend, spend, spend. Wasn’t the point of these goats to save us money and make us more sustainable? I felt like a fool. Even though we had read everything we could get our hands on about goats, we had obviously missed something. How do you have livestock and not go broke? Another dream come true, now we would have our own meat and eggs! Back to the feed store for layer mix, waterers, water heaters and feeders…and even more chickens! I couldn’t afford a coop at the time, so I build roosts and nesting boxes in my goat house for them, and that worked for a while. Until the slaughter began. Fox. Coyote. Opossum. You name the critter, they loved chicken and they loved it at our place. Some days just one chicken showed up dead, other days it was a half dozen, depending upon the predator. I was desperate for advice and wisdom, how did our fore-fathers do this??? How did anyone eat “back in the day”? The consensus was that people had dogs. Big dogs. Great, another animal to feed so that other animals stop eating my animals. OH, and a coop. A big, expensive, secure coop. Geez. By now, the expense of being “sustainable“ far outweighed the cost of just not giving a crap. Plus, we were dirty and exhausted all the time. Yes, the pursuit of sustainability is completely and totally worth it, but not if you try to consume your way there. What’s the difference between standing at the big box store with an overloaded cart of groceries and standing in line at the feed store with an overloaded cart of animal feed? I’m still dependent, still enslaved to consumerism, to maintain my false sense of “sustainability”. Who am I kidding? I’m no more sustainable that anyone else who finds themselves at the feed store once a week. Buying more than a starter flock of chickens isn’t sustainable. Buying packages of bees every year isn’t sustainable. What was I thinking? So, we went back to the drawing board. How did our fore-fathers maintain animals and farmsteads without the convenience of a farm store? Now, don’t misunderstand me. We all need supplies for the farm, just an un-escapable fact. But in order to be independent, the spending should be planned and minimal. The production of our own food should begin with the production of what we feed our animals. My husband and I began to put pencil to paper to figure out how to change this cycle. Improving the pastures for our animals became a top priority. What our animals eat goes into US, so of course we want mineral rich pasture for them to graze on. This improvement took a couple of summers to accomplish, but today we only need grain when we have a pregnant animal. We purchase enough hay to last about 3 months of winter, but look forward to growing our own hay in the future. Our pasture consists of white clover (for the bees), timothy and orchard grass. Aeration, seeding and continued rotation keeps our animals well fed and our pastures beautiful. We’ve learned to bring the chickens behind the larger animals to break down their manure and eat the bugs inside it. Our chickens are also free-range, meaning they have nothing keeping them captive and they can roam anywhere on the farm. This means they will eat all sorts of wild berries, worms and bugs. This is a sustainable system! It also means that I lose a bird from time to time to a predator. That’s the price of keeping free-range birds. But I wouldn’t have it any other way. The chickens require extra feed in the winter months, and for that they need some grain from the feed store. However, we feed them a steady menu of leftovers and warm oatmeal from our kitchen, stretching those trips to the feed store out as far as we can. I can also create fodder for them by sprouting whole grain. They are so many ways to feed chickens that don’t include consumerism! Sustainable beekeeping is best accomplished by capturing local swarms, which cost nothing but time. Local bees are stronger and will survive best. It’s worth the time to harvest them. Bringing southern bees to northern states doesn’t make sense, and it certainly not a sustainable practice. Regarding our farm structures, we should have waiting until we had the skill set to build our own. Lesson learned. What’s important now is that we maintain those structures so they last as long as possible. The moral of the story is that taking the time to build a skill set of basic construction, pasture improvement practices and alternative ways to create a natural, nutrient-rich diet is critical before you bring animals to the homestead, otherwise you’ll find yourself back in the web of consumerism that you’re trying to escape!